BLC Landscapes offers over 20 years landscaping and garden design experience, we pride ourselves on high quality design and construction for all types of projects. We have a passion for landscape design and build that's seen us create some amazing projects including many award winning gardens. We are passionate in supplying premium turf and providing excellent turfing related services, including site preparation and laying. Turfman Brisbane only supplies the best quality turf and always makes sure the turfing projects are correctly carried out. In the Green Landscaping is a locally owned and operated property maintenance and landscaping business. Our aim is to provide our clients with the highest quality of services at reasonable prices. Murray’s Gardening and Maintenance is a family owned and operated business. 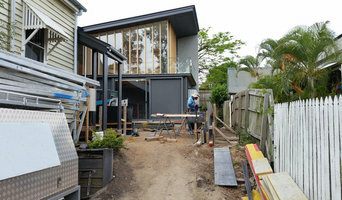 We offer full gardening and maintenance services for both domestic and commercial properties in the greater Brisbane area.We pride ourselves on our attention to detail in our work ensuring all areas are presented as we would our own home. When you walk into your garden after we visit, it will be like you would be walking into a freshly cleaned house. Everything will be neat, clean and tidy, you will feel good just being in the space. With old-fashioned service at the fore, we are passionate about reliability and aim to exceed our clients’ expectations every time we visit. We are proudly Australian owned and operated. 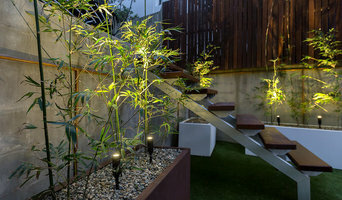 Outdoor living, design, consultancy, maintenance and construction. Turf Green have decades of experience in supplying and installing artificial grass to childcare centres, schools, courtyards, rooftops, commercial properties and private homes. We also supply and install professional synthetic putting greens and putt putt courses for golf enthusiasts and golf clubs around Brisbane and SE Queensland. And for those who love tennis - synthetic grass tennis courts are a practical, long lasting solution for year round matches. Cricket clubs prepare for that up coming season by having a professionally installed cricket wicket or even just a training bay net. Artificial lawns last for decades, and are super low maintenance - all they need is a broom to periodically lift the pile and to remove any leaf litter that may accumulate. No mowing - no watering - no weeding - no hassle! And they are ideal for high traffic areas or for areas where there is extensive shade or where traditional turf lawns just won't grow. They are also brilliant for around pool areas or for seaside living as they have great drainage qualities and can help reduce slips and falls on wet surfaces. And when placed around playground equipment or areas where kids run, fake lawns comply with requirements for "soft fall" surfaces - making the artificial lawn not only good looking and long wearing, but safer than many traditional surfaces. 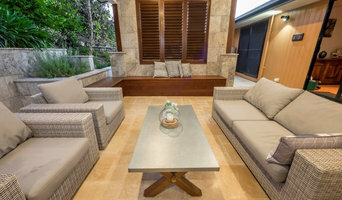 Artificial Lawn Installation in Brisbane Installing an artificial lawn correctly is best handled by an expert artificial grass installer. 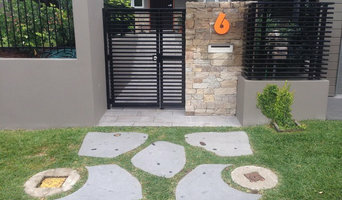 Turf Green has installed fake grass lawns in many locations around Brisbane and the Gold Coast. We start by clearing the existing site and then laying a crushed rock base. This is compacted to form a level surface, free of dips and hollows. We then lay the synthetic grass lawn, before carefully filling the bottom fibres with sand. When correctly installed, the artificial grass looks and feels similar to traditional grass turf.